I painted this as a new reward on my friend's kickstarter for her comic, Strays. The story centres around a teenage girl kicked out of her home after coming out to her parents. Her life is changed by a dog that literally falls on her head. 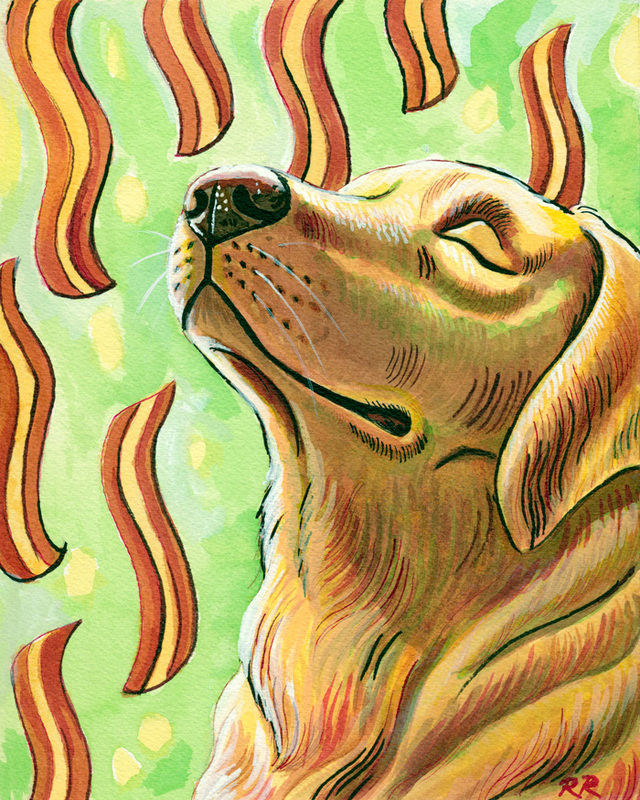 This dog loves bacon so I included it in the image. I like to think of this as a dog's idea of heaven. Painted on Arches 140lb watercolour paper with lightfast inks. The image size is 8" x 10" but with border fits an 11" x 14" frame.